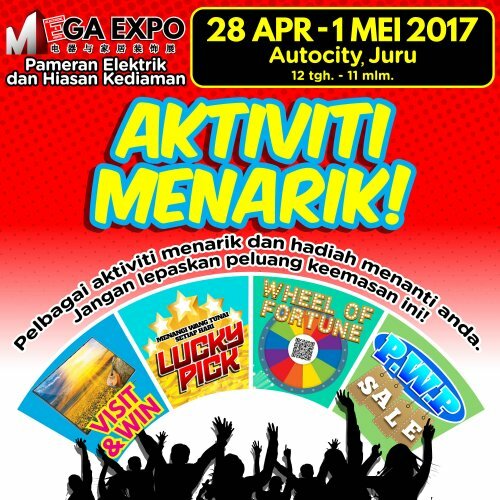 Mega Expo is now at Auto City Juru Penang with even greater deals & activities. Mega Expo will also hold a new contest call Tag Share & Win contest don’t miss this chance! Win AMAZING prizes LED TV and see you there! Like Our Page For more Great Deals and Promotion.